A major new survey by the Department of Energy and Climate Change (DECC) has revealed that public support for renewable energy has increased over the past year. Carried out last month, the Public Attitudes Tracking Survey, now in its fifth wave, surveyed around 2,000 people, confirming a rise in support for renewable energy from 79 per cent to 82 per cent. The survey has revealed that solar power remains the most popular renewable technology, with support rising to 85 per cent from 82 per cent last June. A sustainable alternative to concrete, Krinner’s ground screw foundation has made a significant contribution to renewable energy targets in the UK. 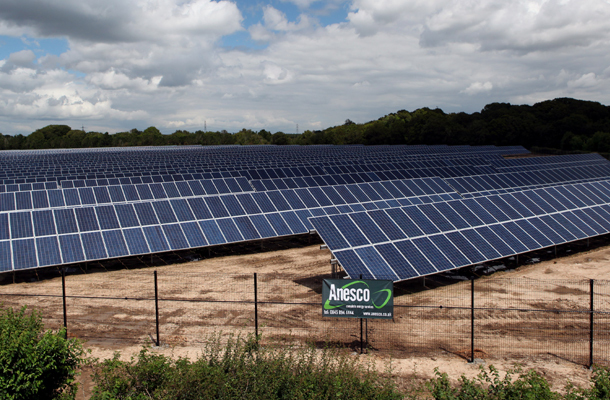 Over 48,000 krinner ground screws has been the foundation of choice for the installation of 55Mwp of solar energy over the past two years, mounting 185,000 solar PV modules across 235 miles of aluminium rails, including some of the UK’s largest solar farms. As well as renewable energy, the ground screw foundation is also a sustainable solution for a number of applications, including infrastructure.